Dr Emily Heath teaches Earth Sciences and coordinates study abroad placements for LEC's undergraduate degrees. She has a BSc in Geophysical Sciences and a PhD in Volcanology, both from Lancaster University. 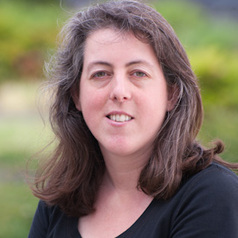 From 1999 to 2011 she was an elected member of Lancaster City Council, and is currently the North West Regional Co-ordinator of the Green Party. She is also a director of LESS - a Lancaster-based Community Interest Company which promotes sustainable living through its home energy service and food growing projects.